Dorsey Armstrong, a Professor of English and a 2015-2016 Center for Humanistic Studies Awardee for her project titled: Medieval Multiples: Twins in Medieval Literature and Society. In the Middle Ages, the rarity of the twin-births resulted in widespread and pronounced fascination due to the unusual combination of rarity AND possibility. This inter-disciplinary project examines the medieval fascination with “twinness” in a study that consists of three parts: 1) an analysis of demographics of twin births in the Middle Ages and a of real-life twins in their particular historical contexts (such as the aristocratic Beaumont twins); 2) an examination of how medieval medical, obstetrical, and gynecological texts understood procreative processes that produced twins; and 3) how medieval literature used the idea and the theme of twins to raise, explore, and resolve myriad social, political, and religious issues. Professor Armstrong is an absolute star and a well-regarded medievalist with a national reputation. She is an original thinker, a fierce worker, a riveting teacher and speaker. Elaine Francis, an Associate Professor of English and a 2015-2016 Awardee of the Center for Social Sciences Fellowship for her proposed project “Marginal Acceptability and Linguistic Theory”. Formal models of grammar aim to describe the implicit knowledge that underlies speakers’ ability to produce well-formed complex sentences. Because such knowledge can only be ascertained indirectly through experimental tasks and observations of language use, it is often unclear how to distinguish the effects of grammatical constraints from the effects of extra-grammatical factors, such as processing difficulty. The current work builds on existing empirical research to develop a framework in which data from various sources can be interpreted to describe grammatical knowledge more accurately. It is shown that some grammatical knowledge is probabilistic, thus challenging commonly held assumptions in linguistic theory. 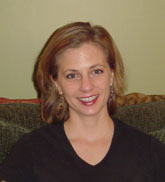 Shelley Staples is an Assistant Professor of English and awardee of a 2015 PRF International Travel Grant to travel to Lancaster, England for her participation as a presenter at the Corpus Linguistics 2015 Conference. 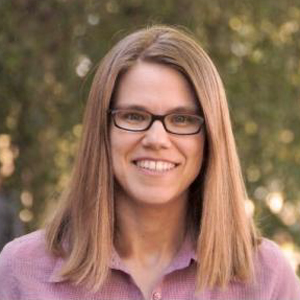 Her research utilizes corpora (large databases of texts) to answer questions of relevance for Second Language Studies, particularly related to sociolinguistics, applied linguistics, and English for Specific Purposes. Her work is also interdisciplinary in nature: her dissertation focused on a corpus-linguistic investigation of patients’ interactions with U.S. and international nurses with the goal of using this research to inform the training of international nurses. Before her time at NAU, she worked as a faculty member for the Center for American English Language and Culture at University of Virginia, where she developed and taught courses in English for Academic and Specific Purposes and trained teachers, particularly in the instruction of second language pronunciation and writing. Her work has been published in the Journal of English for Academic Purposes and English for Specific Purposes Journal.